The brilliant river of stars known as the Milky Way that has dominated the night sky and human imaginations since time immemorial is no longer visible to one third of the Earth’s population and 80 percent of Americans (Link). A light pollution map recently published by the Journal of Science Advances (Link) has increased global interest in the negative effects of light pollution. Major media outlets such as CNN, New York Times, The Wall Street Journal, Space.com and more have discussed with this topic, noting on how most people today are unable to witness the true beauty of the aurora borealis and the dazzling stars on a dark night sky due to light pollution. Smog and sludge are easy to see, but the effects of light pollution are difficult to quantify until we look up and watch as the dwindling number of stars that once animated the night sky are snuffed out one by one. As the size and scope of cities continues to grow, an increasing number of organizations and activists are gearing up to decrease the negative impact of light pollution. One prominent example is the US-based non-profit organization International Dark-Sky Association (IDA) which has made it their quest “to preserve and protect the night time environment and our heritage of dark skies through quality outdoor lighting.” Earth Hour – a yearly event organized by the World Wildlife Fund (WWF) – is another notable effort. Earth Hour encourages individuals, communities, households and businesses to turn off all non-essential lights and electronics for one hour (from 8:30 to 9:30 p.m.) towards the end of March, as a symbol for their commitment to the planet. One of the most innovative anti-light pollution initiatives was the Lights Out Stars On campaign which took place in Reykjavik in 2006, spearheaded by Icelandic writer and environmental activist Andri Snær Magnason. The Reykjavik City Council approved of Magnason’s proposal, asking residents to turn off all the city lights in the capital area for half an hour on September 28th. That night, everyone in and around Reykjavik was able to catch a glimpse of the stunning aurora borealis and the twinkling stars without the interference of light pollution. Global electronics company LG was inspired by the worldwide effort to combat light pollution and has implemented its advanced OLED technology to help bring this important issue to greater public attention. Just as the elimination of light pollution allowed the people of Reykjavik to see the beauty of the pure night sky, the perfect black of LG OLED TVs heightens contrast and allows for richer images. Having eliminated backlight panels, OLED TV offers the purest black and the most accurate color reproduction possible. 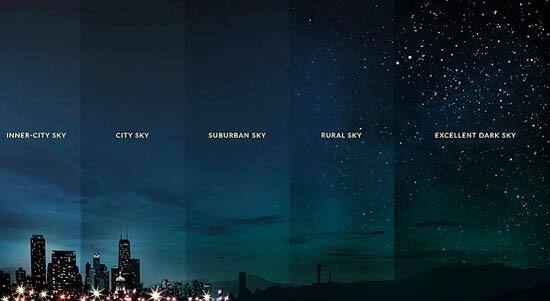 This allows viewers to feel as if they are seeing the actual night sky, free of light pollution. Held on July 20th, 2016, The Lights Out Stars On Concert began after a short introduction from Magnason – the driving force behind the 2006 black-out campaign in Reykjavik, and the project’s creative director Lewis Hilsenteger of Unbox Therapy – a YouTube star with five million subscribers. Three high-profile Icelandic musicians – Ásgeir, GusGus and Ólafur Arnalds then took the stage one by one and performed in front of a display which featured 40 OLED screens and a combined 330,000,000 self-emitting OLED pixels. 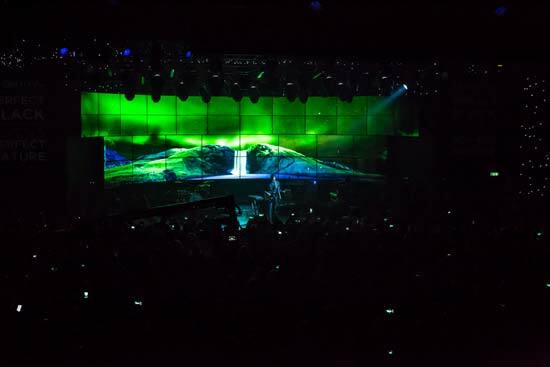 Displaying lifelike, immersive aurora footage harmonized with the ambient music being produced onstage, LG’s OLED screens were instrumental in creating an unforgettable experience for the 1,000 guests in attendance. The mind-blowing images of the northern lights used in the footage were captured on location in Iceland during the winter, the time of the year when the Aurora Borealis is most clearly visible. 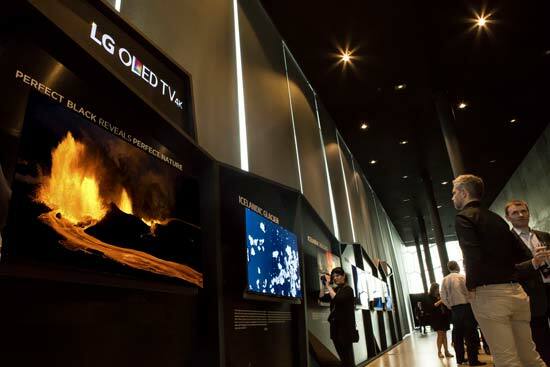 Providing ultra-clear images of Iceland’s northern lights, wildlife, volcanic activity, glaciers, landscapes and more, the OLED TV Gallery at the Harpa Hall has also proven incredibly popular since opening to the public in July. Running until November 20th, the exhibit uses the LG G6 OLED TVs to showcase brilliant 4K photographs taken by leading Icelandic photographers. “Technology is at its best when it enables people to have natural experiences that normally would require them to physically be somewhere. Most consumers may not necessarily know what they are missing when viewing content on old display technology; I noticed an immediate difference the moment I plugged OLED in. The superiority of OLED – particularly for content utilizing darker color palates – is immediately apparent.” said Lewis Hilsenteger of Unbox Therapy. Because individual OLED pixels can emit light on their own, OLED TV is able to create the perfect shades of black and the infinite contrast ratio that are impossible with a backlight. OLED pixels emit the exact amount of light required, creating a strikingly crisp, smooth and clean picture that is pleasantly rich yet achieves convincingly subtle realism. Even the most advanced LCD TVs are limited by their reliance on backlight panels, leading to the light bleeding and inconsistent color rendering that makes them incapable of accurately depicting the northern lights. However, OLED TV requires no backlight, making it unlike any other television on the market. LG is holding a Facebook contest until November 17, 2016 to find the most interesting story from the public about their experience witnessing the beauty of the pure black night sky. Visitors may submit their stories on the LG TV Facebook page (https://www.facebook.com/LGTV/). The writer of the best story will receive an LG OLED TV (55E6). Please visit the LG TV Facebook page and post your comment describing where you want to experience the perfect black night sky and why, tagging your friends in order to share your experience with them.